On Thursday the FCC gave formal approval to a plan by SpaceX to build a global broadband satellite network using low-Earth orbit satellites. The FCC order approving SpaceX’s application came with some conditions, like avoiding collisions with orbital debris in space. Some of the other conditions imposed by the FCC relate to signal power levels and preventing interference with other communications systems in various frequency bands. SpaceX intends to start launching operational satellites as early as 2019, with the goal of reaching the full capacity of 4,425 satellites in 2024. The FCC approval just requires SpaceX to launch 50 percent of the satellites by March 2024, and all of them by March 2027. SpaceX has been granted authority to use frequencies in the Ka (20/30 GHz) and Ku (11/14 GHz) bands. “This is the first approval of a U.S.-licensed satellite constellation to provide broadband services using a new generation of low-Earth orbit satellite technologies,” the Federal Communications Commission said in a statement. The Federal Aviation Administration said on Wednesday that SpaceX plans to launch a Falcon 9 rocket on April 2 at Cape Canaveral, Florida. “The rocket will carry a communications satellite,” the FAA said. SpaceX’s network (known as “Starlink”) will need separate approval from the International Telecommunication Union (ITU). The FCC said its approval is conditioned on “SpaceX receiving a favorable or ‘qualified favorable’ rating of its EPFD [equivalent power flux-density limits] demonstration by the ITU prior to initiation of service.” SpaceX will also have to follow other ITU rules. Like other operators, SpaceX will have to comply with FCC spectrum-sharing requirements. Outside the US, coexistence between SpaceX operations and other companies’ systems “are governed only by the ITU Radio Regulations as well as the regulations of the country where the earth station is located,” the FCC said. SpaceX and several other companies are planning satellite broadband networks with much higher speeds and much lower latencies than existing satellite Internet services. SpaceX satellites are planned to orbit at altitudes of 1,110km to 1,325km, whereas the existing HughesNet satellite network has an altitude of about 35,400km. “SpaceX states that once fully deployed, the SpaceX system… will provide full-time coverage to virtually the entire planet,” the FCC order said. 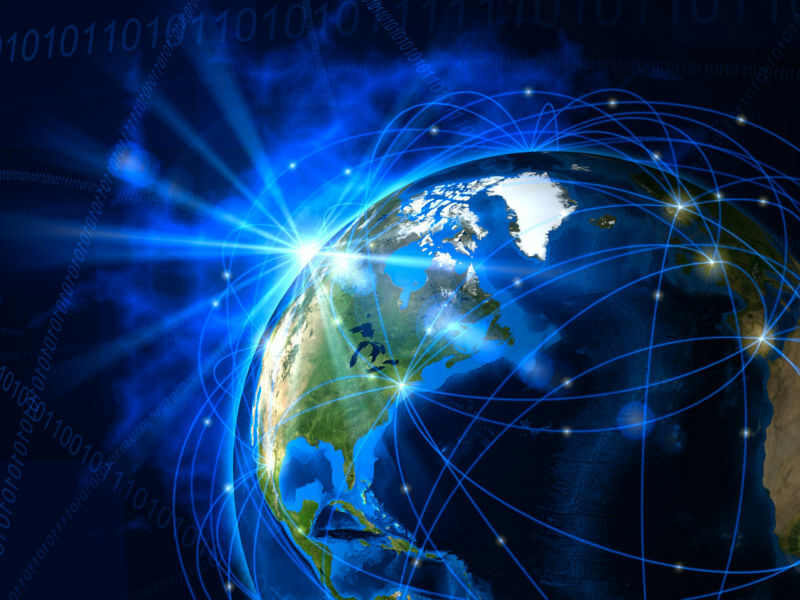 The FCC previously approved requests from OneWeb, Space Norway, and Telesat to offer broadband in the US from low-Earth orbit satellites. SpaceX is the first US-based operator to get FCC approval for such a system, the FCC said in an announcement. “These approvals are the first of their kind for a new generation of large, non-geostationary satellite orbit [NGSO], fixed-satellite service [FSS] systems, and the Commission continues to process other, similar requests,” the FCC said. SpaceX launched the first demonstration satellites for its broadband project last month. In addition to the 4,425 satellites approved by the FCC, SpaceX has also proposed an additional 7,500 satellites operating even closer to the ground, saying that this will boost capacity and reduce latency in heavily populated areas. It’s not clear when those satellites will launch. FCC approval of SpaceX’s application was unanimous. But the commission still has work to do in preventing all the new satellites from crashing into each other, FCC Commissioner Jessica Rosenworcel said. SpaceX still needs to provide an updated debris prevention plan as part of a condition the FCC imposed on its approval. Although we appreciate the level of detail and analysis that SpaceX has provided for its orbital debris mitigation and end-of-life disposal plans, we agree with NASA that the unprecedented number of satellites proposed by SpaceX and the other NGSO FSS systems in this processing round will necessitate a further assessment of the appropriate reliability standards of these spacecraft, as well as the reliability of these systems’ methods for de-orbiting the spacecraft. Pending further study, it would be premature to grant SpaceX’s application based on its current orbital debris mitigation plan. Accordingly, we believe it is appropriate to condition grant of SpaceX’s application on the Commission’s approval of an updated description of the orbital debris mitigation plans for its system. The approval of SpaceX’s application is conditioned on the outcome of future FCC rulemaking proceedings, so SpaceX would have to follow any new orbital debris rules passed by the FCC. We detailed the potential space debris problem in a previous article. Today, there are more than 1,700 operational satellites orbiting the Earth, among more than 4,600 overall, including those that are no longer operating. [T]he scope of OneWeb’s request is unclear and could be interpreted to request a buffer zone that spans altitudes between 1,015 and 1,385 kilometers. Imposition of such a zone could effectively preclude the proposed operation of SpaceX’s system, and OneWeb has not provided legal or technical justification for a buffer zone of this size. While we are concerned about the risk of collisions between the space stations of NGSO systems operating at similar orbital altitudes, we think that these concerns are best addressed in the first instance through inter-operator coordination. If operators fail to agree on a coordination plan in the future, “the Commission may intervene as appropriate,” the FCC said. This entry was posted in Broadband Status, satellite Internet and tagged Elon Musk, Space X. Bookmark the permalink.